G.V.K. E.M.R.I. 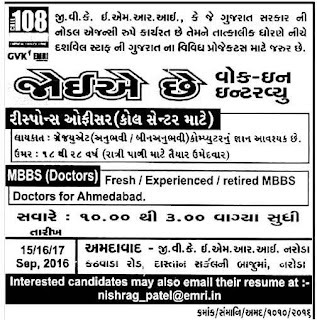 (Emergency Management and Research Institute) Ahmedabad Publised Recruitment Advertisement for Response Officer and Doctor Posts. Walk in Interview Place : G.V.K. 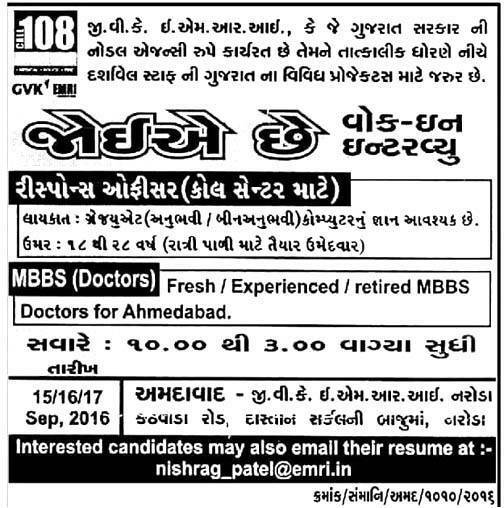 E.M.R.S., Naroda-Kathwada Road, Near Near Dastan Circle, Naroda, Ahmedabad.